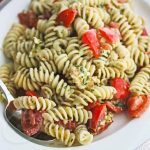 Pasta Puttanesca is a budget-friendly, quick meal that comes together in 15 minutes for busy weeknights. 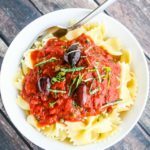 I’ve been making this pasta sauce for years because it can be made with pantry items that I usually stock. My college age sons have learned how to make this simple recipe because it’s inexpensive and easy. I first posted about Pasta Puttanesca six years ago after Hurricane Irene. My oldest son had just gone off to his first year in college. I remember it was a huge adjustment for our family, especially the crazy amount of driving I did, shuttling my three other boys around. My oldest son had been a big help driving his siblings around, which had made it possible for me to spend more time making dinner each night. However, once I became the only chauffeur again, getting dinner on the table every night became more of a challenge. There were days when I would start driving the boys around at 2PM and wouldn’t get settled back home until nearly 10PM (those 9PM squash lessons were a killer!). 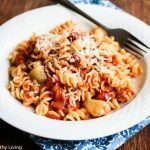 So, quick and easy dinners like pasta puttanesca became staples for those busy nights. Interestingly, our meals changed quite a bit after my oldest son went off to college. He was more of a meat and potatoes eater. The three other boys at home were happy to have a meatless (or near meatless) meal several times a week. They also had broader tastes and were more adventurous (they enjoyed Indian, Thai, Columbian, and Jamaican). In fact, my youngest preferred beans and rice to meat. I attribute this disparity in eating preferences to the fact that I was working full time when my oldest was born. He was raised primarily on chicken nuggets and fish sticks (yikes, I know, processed foods!). Although our sitter was phenomenal with kids, she did not know how to cook, but she was great with the microwave and toaster oven. After the twins were born, I cut my work schedule back, and hired a part-time sitter who happened to be a good cook and more health conscious. When I had my fourth son, I finally decided to stay home, and took over all the cooking. 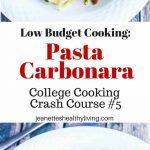 If you’re new to pasta puttanesca, I encourage you to give this easy pasta recipe a try. 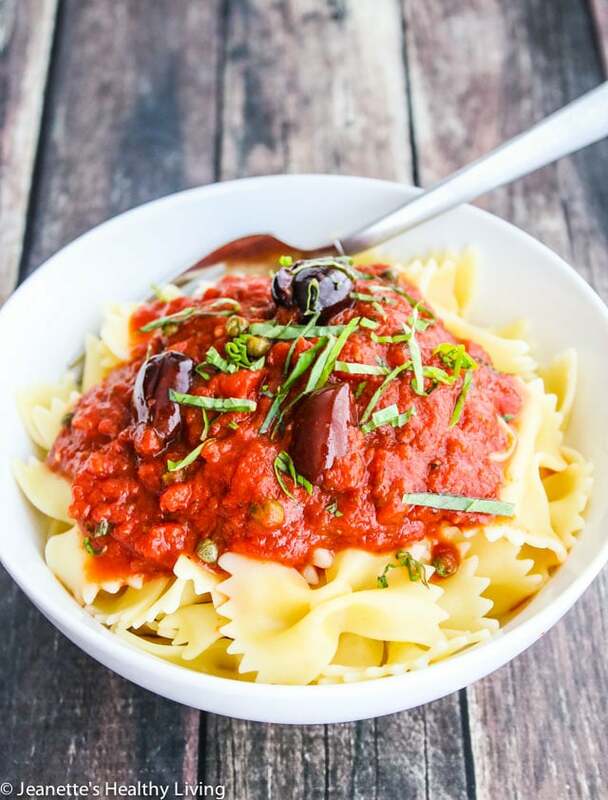 Puttanesca is a spicy tomato based sauce, with a punch of flavors from kalamata olives and capers. Anchovies add depth of flavor, and fresh basil freshens up this dish. I’ve been making Pasta Puttanesca for years based on a recipe I tried from The Silver Palate Cookbook by Julee Rosso & Sheila Lukins, one of the very first cookbooks I owned. I was working as a summer intern in a laboratory (back in the days when I was pre-med), and the scientist I worked for happened to be a foodie. I still have the note he inserted in the book when he gave it to me…”Jeanette, wouldn’t want you malnourished at school….” Needless to say, I went through this cookbook page by page. Over the years, I have probably made more recipes from this single cookbook than from any other in my collection of cookbooks. Bring large pot of water to a boil. Cook pasta according to package directions until al dente. Drain and transfer to serving bowls. While pasta is cooking, make puttanesca sauce by placing tomatoes and olive oil in a large saucepan. Bring to a boil, then add oregano, red pepper flakes, olives, capers, garlic and anchovy fillets. Stir well; reduce heat and cook for 5-10 minutes. To serve, spoon puttanesca sauce on top of pasta and sprinkle with basil chiffonade. 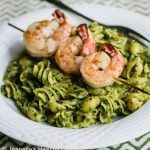 I've always loved the name of this pasta dish and particularly like the healthy adaptations you've made to the recipe! Looks delicious! I love this recipe, and of course, their books! How fun that you can experiment with different foods as your family changes…it's a little tiny silver lining in the cloud. I've noticed it in a big way since both girls are out of the house, I'm so free to cook whatever I want to! 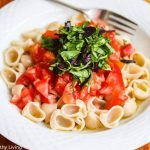 I've always loved pasta puttanesca, and between your dish and Heather's Salad Nicoise, I think I'd add 10 years to my life if I ate them every week. 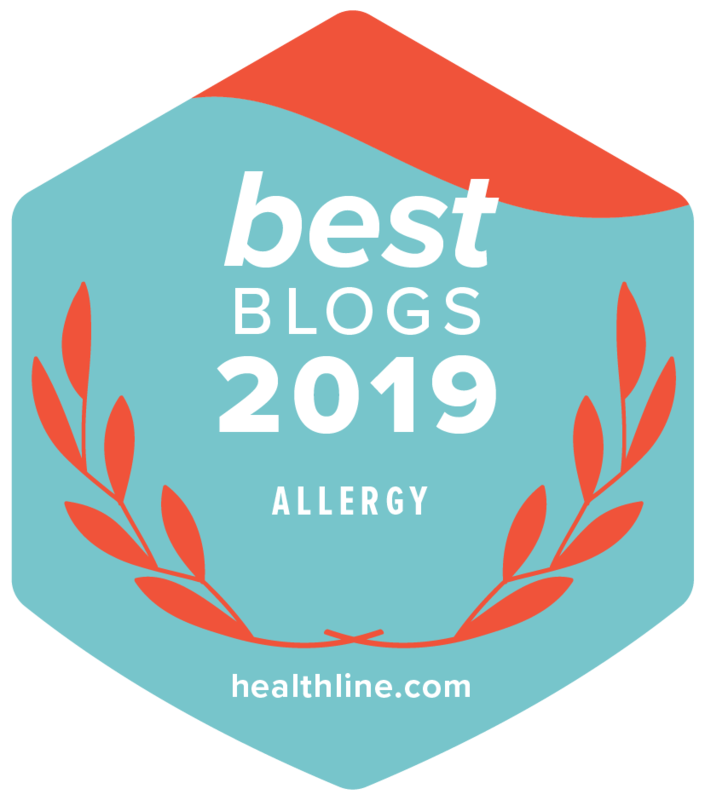 I am trying so hard to get my little girl to enjoy a wide variety of foods, but it's hard for her little 2-year old palate!! But I will keep trying, and this sauce sounds like a great thing for both me and for her! 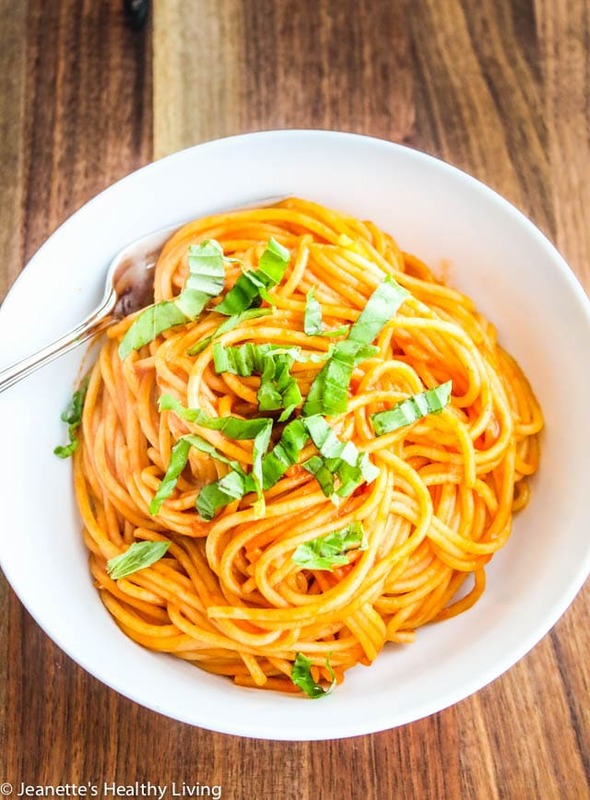 What a huge favor you have done for the children, introducing them to so many different cuisines while they are young … our kids grew up on Kraft mac&cheese and chicken nuggets, but I tried too to broaden their culinary horizons… and this puttanesca sauce is a great way to go Italian! Great tribute to Lukins & Rosso! 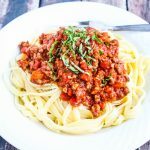 This is my go to dish when I am in a rush and can't think of anything to make for lunch or dinner – the kids love it, so that makes it a no brainer. I am so starving as I read this…I want to reach through my screen and twirl a huge forkful right off the top! Wenderly – please try this, I think you will really enjoy it, super easy to make and delicious! Kelly – I do have 4 boys, so it is a lively, loud house! Nice to know that that your clients can tolerate spelt without omitting wheat. I'm going to have to try spelt flour in baked goods, I've heard it's good. I'm glad to hear the school year got off to a great start. 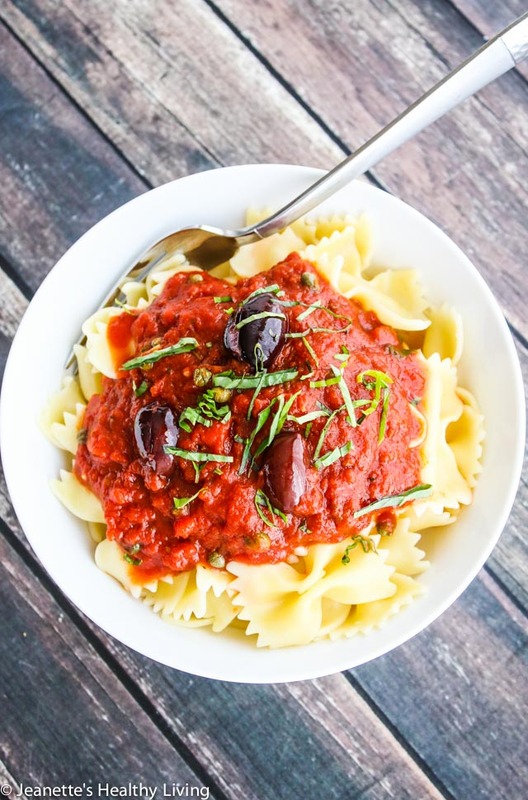 This pasta looks fantastic, and it sounds like great fuel for success! wow, i am shocked to hear that your three boys will be so open to beans and veggies! great job parenting, jeanette! 😀 your pasta always looks so elegant. olives in pasta sounds delicious! 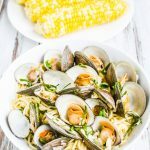 This looks so delicious – this might be my go to recipe for the week! My first Putanesca over a decade ago gave a lasting impression. I bet this one taste good also. I would love to prepare it for the Thanks giving. Junia – My oldest doesn't like beans (the texture bugs him), but yes, the other three do like beans. They all know veggies are part of their dinner, and joke about how I keep adding more to their plate as the years go on. 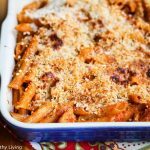 I love that this recipe can be prepared using pantry items (I try to keep a few Kalamata olives in my fridge to make sure I can throw this together on short notice). Silver Palate is one of those books that has really held up over time. I like the revised (25th anniversary) edition even better than the original. My goodness, you do have a busy schedule! 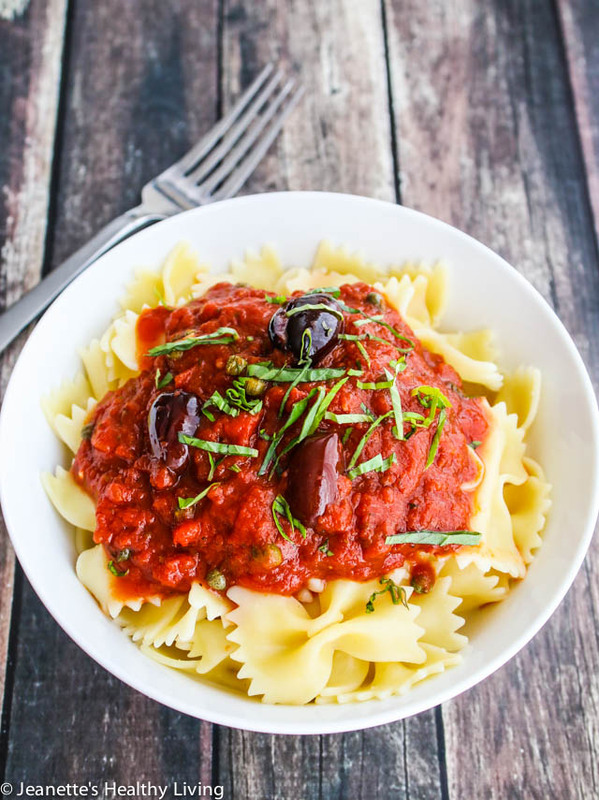 This puttanesca is the perfect way to get a healthy, hearty meal into your kids in minutes. Lydia – I'll have to check out the 25th anniversary edition to see what was added – you've got my curiosity going now. 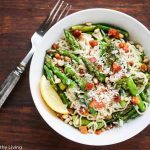 The Silver palate recipe for this pasta dish was the first I ever tried. These cookbooks were the first in my collection. 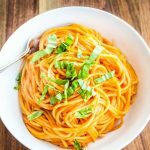 Puttanesca is my go to quick cook dinner: healthy, spicy, and delicious! Jeanette, What a great tip to help people transition to wholegrain pastas by using robust sauces. It's not an easy transition for most people and I'm sure this sauce would do the trick quite nicely! I kid you not that puttanesca is my favorite pasta sauce ever!! This recipe looks great Jeanette. So glad you used the essential anchovies. love the ease of this recipe – even I have the ingredients in my cupboard!! My mom always hated the start of school again cause it meant she had to resume her role as chauffeur. I hope things calm down a bit and you guys settle into some kind of groove soon! this pasta looks so good…puttanesca is definitely a classic for a reason! Puttanesca – another dish I have yet to try, but it is right up my alley. I love all things pasta. I also love saying the name – your rendition looks lovely.